As summer gets closer, you may be starting to wonder about summer camps. But you don’t just want any sleepaway camp for your son. You want a place where you know he’ll grow, discover himself, make friends, and of course, stay safe. In short, you want to best summer camp for boys! Camp Shohola has been providing that experience for generations of young men. As the best summer camp for boys in the region, the camp’s philosophy is all about encouraging boys to grow in their talents and interests. 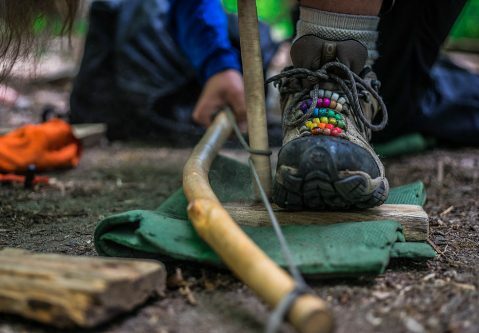 Whether these are in science, arts, athletics, or other interests, the camp founders believe that each boy has the potential to find himself at the summer camp. What really makes Camp Shohola the best summer camp for boys? Beyond this one-of-a-kind philosophy, it’s all about creating a safe space for your camper to explore. At Camp Shohola, everyone knows everyone else’s name. The camp directors intend for every boy to feel like he is getting the attention he needs to develop and explore. This show of devotion makes Camp Shohola the best summer camp for boys in the region. But there are other parts to being the best summer camp for boys. At Camp Shohola, campers get to explore all kinds of different activities. But there’s something even better: They get to design their own camp experience based on their interests. Whether they want to focus on art or take up kayaking, there’s no limit to what they can do. The variety of activities makes Camp Shohola the best summer camp for boys in the region! Do you have a child who dreams of being a photographer one day? What about a teen who wants to learn about outdoor survival skills and what it takes to live in the wild? They can find all these and more at Camp Shohola. If you want to learn more about what makes Camp Shohola the best summer camp for boys, contact Duncan at 570-371-4760 or duncan@shohola.com.